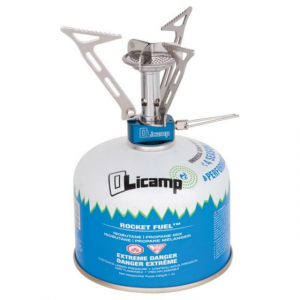 A tough, super efficient micro canister stove. I received this at cost from an importer for assessment purposes. It arrived in the letter post not as I was expecting parcel post as the size of this is so very small. It comes in a small box with all Chinese writing and no instructions, inside is a micro black drawstring pouch to protect the stove itself. Closed it is just 33 x 52 mm (half the size of my PocketRocket), open it is 85 mm wide and 69 mm high and being made of stainless steel, brass, and alloy weighs a mere 45 g. On the package it is rated at 3000 btu max output, Hum! So small could it be so powerful? Bench test: All seemed good to go, though the flame did rather resemble a Bunsen Burner with little spread. Field test: With a half used canister of gas at an air temperature of 8 Deg C, water at 15 Deg C 300 ml (1 cup) boiled at 1 min 35sec. At air temperature of 15 Deg C just the same as it was at 20 Deg C. With two cups of water (600 ml) enough for a meal a roiling boil was achieved at 2 min 45sec. 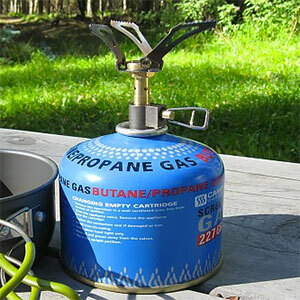 The flame spread was contained under both my 300 ml cup with rounded base and my 750 ml main pot with flat base. This was impressive! 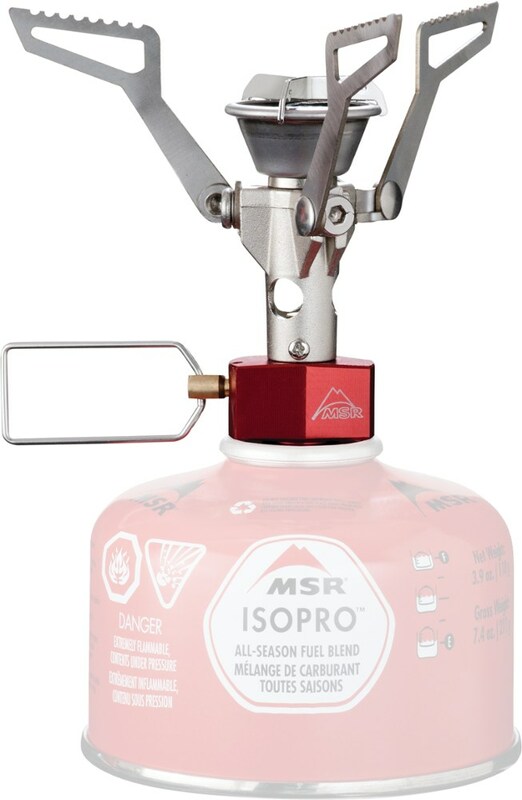 This wee gem is not just for boiling water though; the flame regulator is great with the ability to give a low simmer to roiling boil. A couple more trips give great confidence in this product; It it efficient and economical with fuel and appears to be very robust. The only drawbacks are the small packed size, so easy to mislay. A blaze orange pouch would take care of that and the arms of the pot supports got very stiff after a few times of using. By inserting a knife blade between the arm and the washer this was cured. 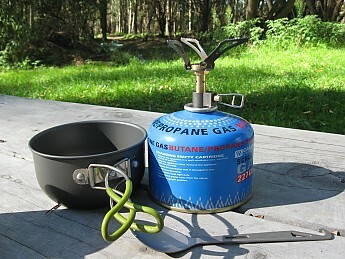 The really great thing for me is that now I can pack the stove, a windshield, gas canister, and cleaning gear inside my solo cooking system saving space and weight. Please do not forget that this has SS pot supports, not titanium; this prevents the distortion reported in the lighter T3000. 45 grams?!?! That's bordering on alcohol stove weight! Of the canister adds weight. Nice review. Thanks for posting it. Thanks, BigRed. That was an interesting read! BigRed...the difference between them is the 3000T has titanium for a main component and this one is SS/Brass. The 3000T weighs 28 grams and this one weighs 45. Not a huge difference admittedly, but a difference. 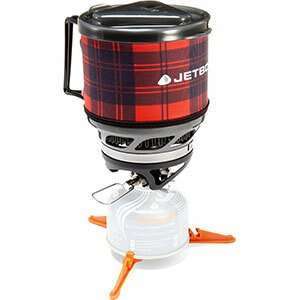 Big Red, that link for adventures in stoving was really helpful. Seems like if you just boil small amounts of water for short periods of time, then the stove is great (not enough time to warp). 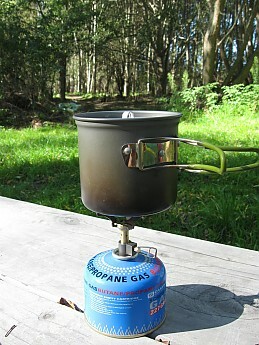 I own a Pocket Rocket, but my catfood can alcohol stove continues to prove itself. Half the weight and half the price of the FMS 300T. Half the weight and half the price of the FMS 300T. Win-Win, right? Not exactly. I purchased the BRS 3000W (28 grams) in 2016 for roughly $15. It appears to be a clone of the FMS 300T at half the weight and half the cost. Win-Win, right? Not quite. One of the pot legs sagged three days into my 2017 BMT section hike. I was able to bend it back and while not a total failure I certainly don't have confidence in it for long distance backpacking trips. I purchased the FireMaple FMS 300T (49 grams) back in 2013 for roughly $30. 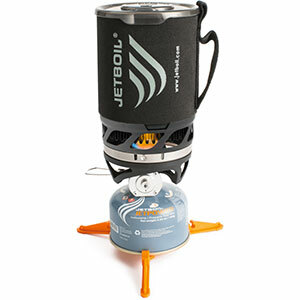 I used it on my 2014 Long Trail E2E and 2015 AT thru. I have the same confidence level in it today as I did in the day I purchased it. Welcome to Trailspace, Mudsocks. 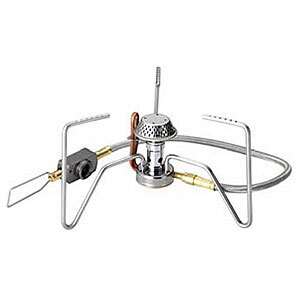 Your review confirms what others have said about this stove. 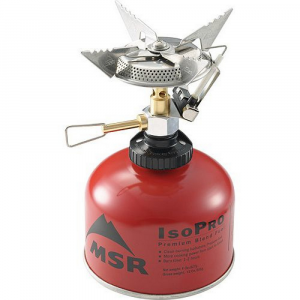 The BRS 3000W is not available from the stores we monitor.